Onefunction is an established company with a reputation for delivering internet based business solutions. We specialise in website design and development, and have a wide range of experience in working with both small and large organisations. We have a team of experienced designers and developers who provide consultancy services to a wide ranging customer base, just take a look at our portfolio. We recognise the need for cost effective solutions that wont tie your staff down and that are available at any time. 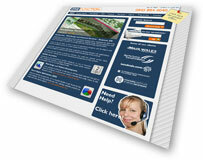 We work with a wide range of companies to promote their web site as a marketing tool. We understand that in print, your catalogue could possibly be out of date in weeks. With our web application expertise, companies can display new products and company services instantly. Always live and up to date. Click on the above image to view our web design site!